If you’re lucky enough to own a garden, you must know the joys of a Sunday afternoon picnic or a long, lazy day basking in the sun. But all these pleasures would be nothing without a thick, well-trimmed lawn. Unfortunately, growing your own lawn isn’t always easy but if you get the best grass seed bags, you can have it in no time. There are various seed bags on the market, though. 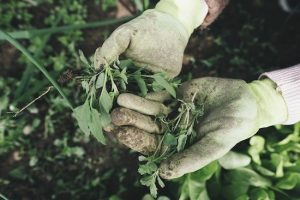 Picking the best one for your lawn depends on various factors and it can make the difference between a lawn filled with tufts and a lush carpet of grass. That’s why, after discussing the most important factors which influence your decision, we’re moving on to some grass seed reviews which fit different lawns. The golden rule of grass seed is this: the best lawn seed to buy is the one that’s right for your garden. That means you’ll have to learn more about different types of grasses and what works well for weather and terrain conditions. There are two main grass varieties. Creeping grasses are best for warm seasons, they’re thick and lush. Bunch grasses like ryegrass and fescue are cool-season grasses that thrive in most soil types. Mowing is important to keep your grass growing and that’s why you should respect the mowing height recommended by the grass seed producer. For example, bentgrass has one of the lowest mowing heights recommended, so it’s best for golf courses or lawns where you play football. On the other hand, perennial ryegrass and fescue have a bigger mowing height, so they’re good for gardens. You should also consider how much you’re stepping or running on the grass you’re getting. For instance, Bluegrass, Fine Fescue and Centipede have a light tolerance to traffic, so they’re better suited for covering bald patches between your vegetable beds. 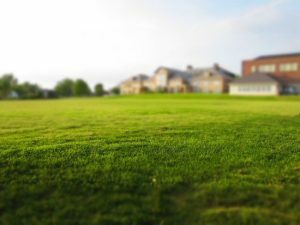 But if you have a house full of children, guests and pets, consider getting a type of grass with increased tolerance to traffic, such as Perennial Ryegrass, Tall Fescue and St. Augustine. Before getting grass seeds for your lawn, consider the soil type in your garden. If it’s acidic, you need Bentgrass, Centipede and Zoysia. Bluegrass likes a neutral soil, while St. Augustine thrives in a sandy soil. On the other hand, some grasses such as ryegrass, fescue and Bahia can thrive in many soil types. The place where you plant these grass seeds is equally important. Cool-season grasses like Bentgrass, Bluegrass and Perennial Ryegrass prefer full sun, while fescue can grow in full or partial shade. Most warm-season grasses need full sun to grow, though Zoysia, Centipede and St. Augustine can also grow in partial shade. You should also have a pretty good idea on how much seed you need. Too few means you’ll be left with an area that needs to be sowed at a later date, while too many might cause overcrowding and therefore, bald patches. The good news is that you can easily calculate the amount of seed you need for your lawn. The bag specifies the number of kilograms required for a number of square metres. Let’s say you have a 1kg bag that covers 35 sqm, and you have a 1-acre lawn. One acre is about 4045 sqm, so your 1kg bag can cover a bit less than 0.01 of that. Basically, you need at least 100 bags of seed to cover your whole garden. You need to take into account the best time to sow your grass seeds too. Many products have this specified on the bag, while others simply state it’s better to plant the seeds in a warm, moist soil. This typically means you need to plant your grass in mid-spring or mid-autumn for best results. Some brands state their seeds can thrive in more difficult weather and terrain conditions, so you can plant them anytime. But the caveat is these seeds might need some extra-germination inside the bag first, or you might need to add fertilizer or a layer of topsoil to keep the birds away. With all that in mind, let’s move on to some lawn seed reviews. The products below have different characteristics, so they fit very different purposes. Hopefully, that will help you find the best seeds for your garden! Packed in 1-kg bags, this grass seed mixture from GBW is intended for full sun and covers 35 sqm, but you can cover up to 55 sqm for existing lawns. With moderate watering, this fast-growing grass is durable too. The bonus is a complete refund from GBW if you don’t like it, but that comes at a price. The advantage with this grass mixture is that it’s made to fit the weather in the UK. The pack contains four types of seeds, 83% comprised out of Dwarf Amenity Ryegrass and Creeping Red Fescue. The remaining 17% is a mixture of Chewings Fescue and Brown Top Bent. Another advantage is the DEFRA certification. The promise of GBW is a thick, green grass carpet you can get in days, and that’s why this pack is best for creating new lawns fast. But you can also use it for covering bare patches in your lawn or to improve the overall look of your garden. The downside is that you can’t simply scatter the seeds on your lawn and be done with it. You have to pay attention to the weather and animals or birds in your garden that might eat the seeds. You might also need to let the seeds soak overnight or until they germinate. After that, make a series of holes in your lawn and plant the seeds for optimum results. The Superstar Back Lawn Grass Seed mixture will get you some of the best grass for busy lawns, considering it’s 80% perennial ryegrass, which makes it so hard-wearing. The other 20% is strong creeping red fescue, which is durable and soft. A 10-kg bag such as this one can cover up to 200sqm. That’s almost half of what the GBW mixture above can do, but these seeds are more affordable. Besides they have a bigger mowing height, up to 40 mm, compared to the 12 mm mowing height of the lawn you get with the GBW seeds. A definite advantage is that these seeds have undergone extensive testing, both in-lab and by other research institutes. On the other hand, the germination is pretty slow, it might take up to a month to see results. You also need to choose the season when you plant these seeds very carefully – mid-April might be best for optimum results. The GroundMaster General Purpose Lawn Seeds are similar in price to the Grass People Superstar Lawn Seeds. And very much like these seeds, the GroundMaster need a moist, warm soil to thrive. On the other hand, they can be planted in difficult weather or terrain conditions, as long as you water your lawn every night. That makes them one of the best seeds for shade on the market. The advantage to the GBW lawn seeds is that these seeds don’t need extensive preparation; you don’t even need to dig holes or let them moist overnight. Even though they don’t cover a huge area, their easy maintenance and planting make these seeds perfect for large projects. This 5-kg bag can produce seeds in about a week, but be careful about the birds who will think you’ve prepared a feast for them. The reason why the birds like these seeds so much is the hard-wearing seed mixture: 70% Lolium Perennial Rye Grass and 30% Maxima Festuca Strong Creeping Red Fescue. 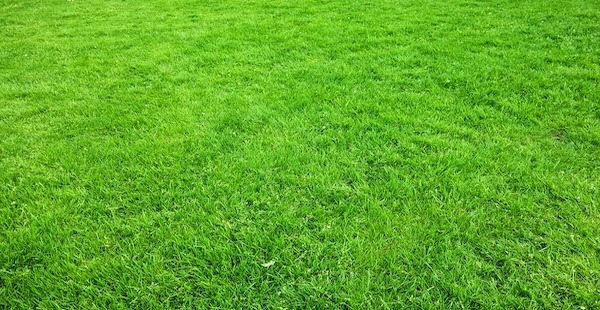 However, this mixture is what makes the grass blades so hard-wearing, with a bonus dark-green hue that looks beautiful. The GardenersDream 5-kg bag of lawn seeds is the cheapest item in our list, with some strong qualities that recommend it. For example, you’ll be getting a thick grass carpet that resists all year long. With a mixture of 70% Lolium Perrenial Rye Grass and 30% Strong Creeping Red Fescue, the grass will be hard-wearing as well as good-looking. As such, this is one of the best grass for garden and covering the bald patches between your flower beds. The downside is that it takes several weeks to germinate, but the grass grows very fast after that. You also need quite a lot of preparation. First, the perfect season to plant these seeds is around March-April. Secondly, you need to rake over the area before and after sowing. You should also consider adding a fertilizer or topsoil to help the seeds germinate faster. Before buying tons of lawn seed bags, you need to find out which ones work for your garden and why. There are various factors which influence how fast and how well your lawn will grow, starting with the best time to plant grass in your area and the recommended quantity of seeds for your lawn. The grass seed reviews above cover different types of variables discussed here, so you have all chances to find the right seeds for your garden. That said, which seeds will you get and why? What have you tried before that worked and what didn’t?